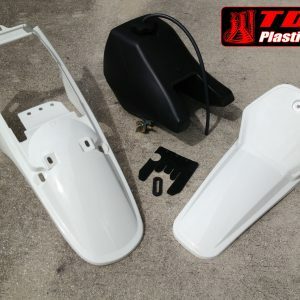 Motocross graphics give your PW80 a look and style to call your own whether it’s a new bike or you hope to refresh a veteran bike looking haggard from well used and worn dirt bike graphics. 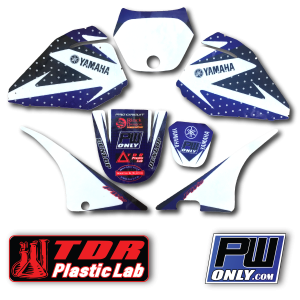 PWonly’s huge selection of motocross graphics and dirt bike graphic kits covers every inch of your bike and we have every color you can imagine. 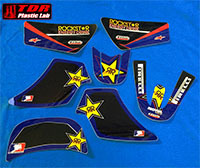 Check out these PW80 Monster Graphics! Yamaha PW80 Monster Graphicswill give your bike a look and style to call your own; whether it’s on brand new plastic or you hope to refresh your old plastic or graphics. 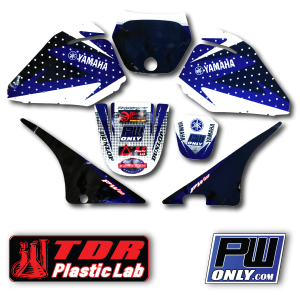 PWonly’s huge selection of PW80 graphics and Pw80 graphic kits cover every inch of your PW80 and we have every style and color you can imagine. 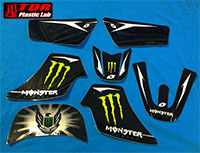 Buy these Yamaha PW80 Monster Graphics!